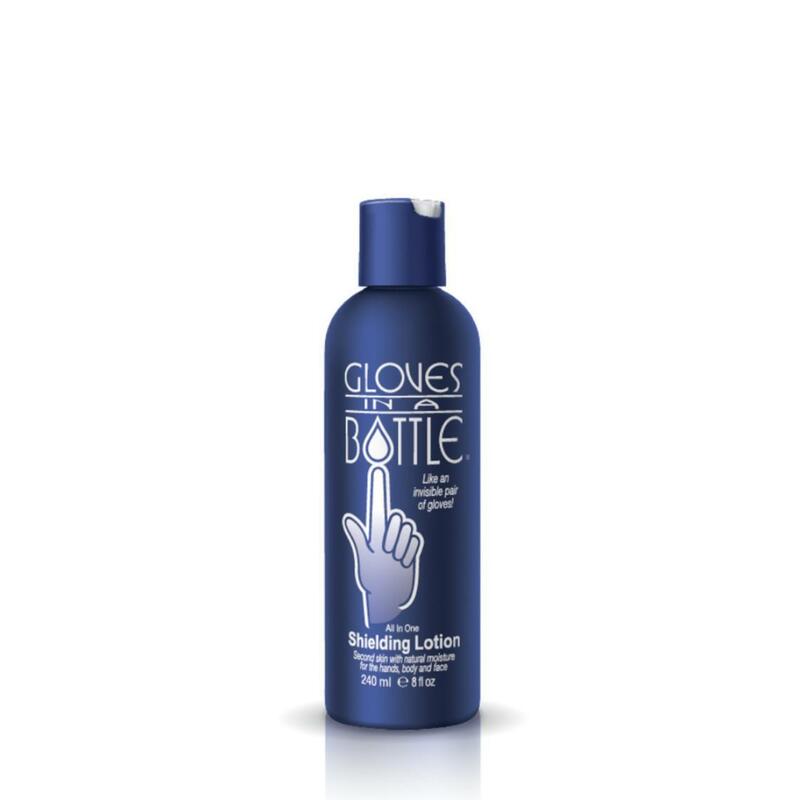 Gloves In A Bottle Shielding Lotion-8 ounce Shielding Lotion that bonds with outermost layer of skin cells to turn it into what works like an invisible pair of gloves. "Invisible gloves" prevent dry skin by helping to keep moisture-robbing irritants out while better retaining your skin's own natural moisture. One application of Gloves In A Bottle lasts four hours or more and comes off naturally as you exfoliate the outer most layers of skin cells.